There is plenty more than meets the eye in four "Laavan" of Guru Ram Das ji. Several instructions to the bride are being shared for success of her wedded life. Following above wisdom thoroughly could be the key to success of one's wedded life. This is an attempt to explain to young ones in plain words, value and usefulness of the 'Lavan' message, in one's married life. Bride & Groom occupy a central position in a wedding, using this simile, Guru tells us we have an opportunity, in the same way to get closer to realize our Creator. We are all brides of the Guru thus the teaching is for all of Us. If we can realize our unseen Creator with these virtues, one should be able to discover happiness with the same virtues with our spouses and new relationships. During the 'Lavan' phere, Groom & Bride should listen to the Lavan/ Shabad and follow message by the Guru. Bride & Groom should pre learn this and contemplate during their 'Lavan' and focus on words. Bride's 'Lahnga, Chunni & accessory" surely should be elegant one but appropriately manageable by herself, without taking away her focus from 'Laavan'. Let us explore each line. First Laav: Har-i pahalarri laav parvirti karam drirraia bali raam jio. The first teaching of the wedding life, to the couple is to firmly believe in revered Master and family life, which is important (parvirti karam). To do anything committedly, one needs to have a firm mind for the success (drirraia) i.e. commitment is important. (Not any gimmicks) Not even baani of Brahma's recitation is required but Having firm help of faith in (baani) the guru's word which teaches the duties by following which (paap=mistakes) transgressions diminish. Dharam drirrhu har-i naam dhiaavhu smriti naam drirraaia. Be committed to the duties (re-emphasized-dharma, sturdily=drirrhu is repeated) for being most important and to remember commitment to virtues and commands (Naam) of the Superior; the scripture (Baani) mention these virtues and commands. Satigur gur poora aaraadhahu sabh kilvikh paap gavaaia. 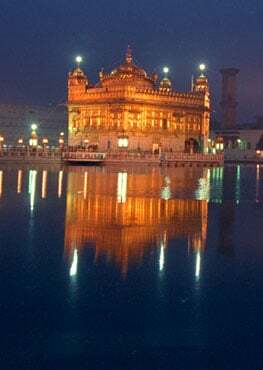 Remember the Supreme Being - Almighty and the teachings of the perfect guru; this causes all transgressions to be avoided and eventually disappear. Sahj anand hoaa vaddbhaagi man-i har-i har-i meetthaa laaia. The fortunate person who follows/does this enjoys bliss (anand), through a state of poise, natural way (sahj) and likes/ loves - Divine virtues and commands, as guide for life. In the same way, married life takes its natural course to develop a strong relationship. Jan kahai Nanak laav pahli aarambh kaaj rachaaia. 1. Humble fourth Nanak proclaims these are first essential basics of the wedded life. God (Supreme-Resultant), Guru (Guidance), Firm mind (Commitment) and Duties (Action) are clear instructions to Bride & Groom. Second Laav: Har-i doojarri laav satigur purakh milaaia bali raam jio. The second set of basics: seek (satigur) the true guru. (truthful teachings) Re affirmed importance and accept, thankfully (bali raam jio) gracefully the spouse as gift chosen/ given by God. (earlier people knew little about likes & dislikes of each other @ the time of marriage) Acceptance becomes the foundation to start with. For Guru's Grace (Sanjog) Be grateful. Nirbhau bhai man hoe haumai mail gavaaia bali raam jio. Fearlessness (nirbhau=create/think no action of mine which takes place, should be wrong for my spouse is established-created/ born); give up the vice of ego (filthy/ disgustingly dirty for once life = primary cause of divorce today) and become free of apprehensions of retribution as there are no transgressions. Trust Grace of Guru and be grateful. Nirmal bhau paaia har-i gun gaaiaa har-i v-ekhai raam hadoor-e.
Har-i aatam raam pasaaria suaami sarab rahiaa bhrpoor-e. The Master present within also pervades everywhere. (The husband master presence is near & dear to you.) Similarly Feel the Lord Master 's presence near & dear always and everywhere. Antar-i baahar har-i prabh eko mil-i har jan mangal gaa-e. In the company of the seekers - one experiences within and outside (in others), the presence of same (One) Creator and sings (appreciates) glory of the superior being. The second (Lavan) important lesson/ instruction - is discovering the Master within and hearing continuous celestial music, says the humble fourth Nanak. Don't hurt-even speak ill words/ Give up Haumei/Ego. Create (take) actions for harmony, bonding/ love. Third Laav: Ha r-i teejarri laav man-i chaau bhaiaa bairaagia bal-i ram jio. The third instruction is about the mind which develops (chaau) fondness and yearns for the Master. Sant janaa har-i m-el har-i paaia vaddbhaagia bali raam jio. Nirmal har-i paaia har-i gun gaaia mukh-i boli har-i baani. Sant janaa vaddbhaagi paaia har-i kathiai akath kahaani. The fortunate seekers attain the Master and thus are able describe the indescribable, i.e. what was not understood so far (about husband/spouse Master) Khasam/ Malik. Hirdai har-i har-i har-i dhun upji har-i japiai mastak bhaag jio. With the Master in mind, the fortunate seekers have the celestial music playing in the mind. Master in mind, the fortunate seekers have positive results, seekers (serious effort maker) win. Jan Nanak bolai teeji laavai upjai-man-i bairaag jio. The third Laav-instructional stage is when yearning for the Master/Spouse develops, says the humble fourth Nanak. Develop (chaau) fondness and yearns for the Master. Good company/congregation helps (determines) and good actions/deeds. Remembering Divine commands, as guide for life. Fourth Laav: Har-i chutharri laav man-i sahj bhaia har-i paaia bali raam jio. The fourth happening/resultant stage - is that of winning of husband/attaining of Master-Creator. A state of poise is created - there is no more wandering of the mind (focus). Gurmukhi milia subhaa-e har-i man-i tan- meetthaa laaia bali raam jio. Har-i meetthaa laaia mere prabh bhaaia andin har-i liv laai. This love comes pleasurably (of the Master) to the one, whoever remains attached sincerely/focused on the Master. Man chindia phal paaia suaami har-i naam vaji vaadhaai. The wish (fruit) of Happy & successful married life, similarly Creator is attained/realized and the mind (vaji vaadhaai = congratulated) feels joyous. Har-i prabh tthaakur-i kaaj rachaaia dhan hirdai naam vigaasi. The Creator-Master initiated the wedding, (husband and wife both accept the Divine will) i.e. union between the Creator and the soul-bride: feels happy with Naam in mind-having discovered Divine virtues. Jan Nanak bolai chauthi laavai har-i paaia prabh avinaasi. 4. 2. The fourth and final phase: No more wandering of the mind. Pure love created. Mind and body (both) are well (Most Important). (who), ever remains focused on s(he) finds/connection with Master/Spouse. The bride and groom are united and become wife and husband to ever live as two bodies but one spirit. Similarly, Creator-Master and Soul i.e., individual becomes, one in this life time united with his Creator/ Master. Focus, Pure effort, Use of Mind & Body-Unity = Unites permanently. The Laavan Gist: Laavan advises following keys (below) for making our wedded life full of bliss, (annandmai) successful, happy to develop into a permanent loving relationship. Without understanding and following the key points, one cannot have a morally, ethically and spiritually elated wedded life. God (Supreme-Controller-Leadership), Guru (Guidance), Firm mind (Commitment) and Duties. (Action) Don't speak ill words to hurt & drop dead Haumei/Ego, instead let actions create harmony & bonding: Develop (chaau) fondness and yearns for the Master. Good company and good actions/deeds, as guide for life: Creates Happy-ness. Focus, Pure effort, Use of Mind & Body-Unity = Unites permanently. In simpler words, more one improves above qualities, better are results of one's wedded life and quality of life. And on the other hand if you don't control your EGO, one loses RESPECT of spouse and his/her family. This can cause divorce or un happy married life. Nirgun aap sargun bhee ohee. in the beginning, in the middle and in the end. Other short and perfect advise by Guru Ji. nivan so akhar khavan gun jihbaa manee-aa mant. ay tarai bhainay vays kar taaN vas aavee kant. 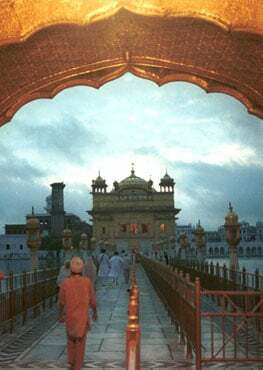 There are also three basics told by Guru Ramdas to solve any problems simply. Bhabhaa - 1- Bhuli ji, 2- Bharosa Ji, 3- Bhanna ji. To accept one's mistake, without making it an issue, which all of us need to adopt. Accept as Grace, understand one's limits & capabilities. (Almighty who controls - Bhanna ji). These simple words of advice are great and best for ensuring a harmonious married life and keep you moving forward for life time. If we follow these rules, one need not call on experts like marriage advisor, counselor or a psychiatrist. Take responsibility for your own action and do not blame others. Āp kucẖjī ḏos na ḏe▫ū jāṇā nāhī rakẖe. Mere sāhibā ha▫o āpe bẖaram bẖulāṇī. O my Lord and Master, I am deluded by doubt. To make wedding meaningful as the main event, play kirtan for at-least an hour, singing shabads related to relationship advise like kuchagi & suchagi, Ghorian in presence of bride & groom and their families. Lavvan, anand sahib, wadiyan shabads and Advise of Guru to couple should take its time. Pre wedding sampath path bhog should have kirtan from both families could be held jointly as suitable or a day before in the evening, eliminating Mehandi. Guru Granth teaches delightful living. (Good+happy) Good for today better for tomorrow. Follow it.